The twins are incredibly cute and Blue Ivy is peak unbothered. Queen Bey runs the world, but her kids clearly run vacation. As Beyoncé and husband Jay-Z wrapped up the European leg of On the Run II, the whole family gave themselves the gift of a well-deserved break from tour life. 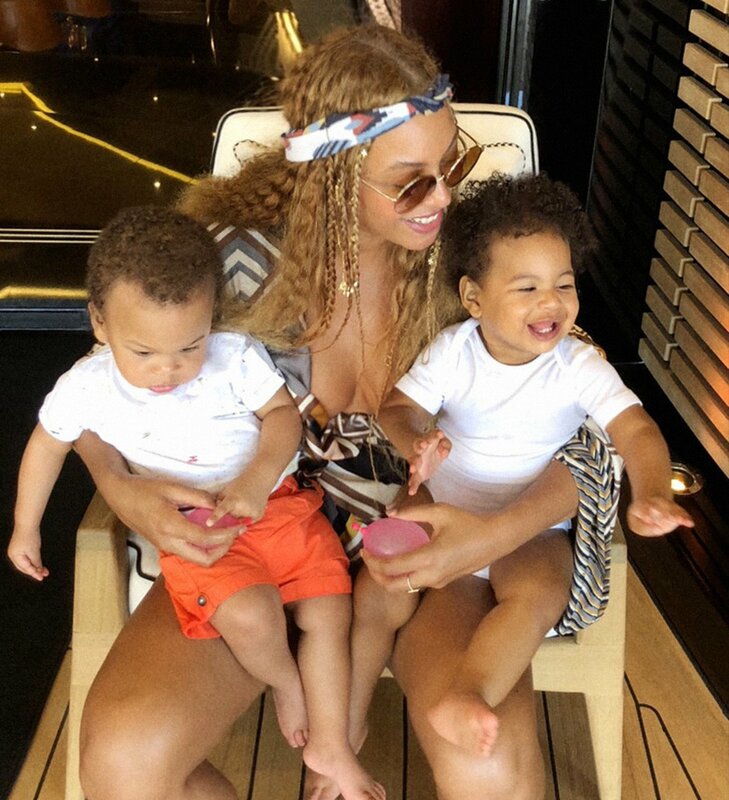 In turn, they blessed us with vacation pics that include a rare glimpse of one-year-old twins Sir and Rumi. Posted to Beyoncé's website, the photo album "Thank You Europe" surprises us with a candid photo of the baby Carters, relaxing on their smiling mom's lap. The two have mostly been kept out of the spotlight, save for an appearance on each of their parents' Instagram accounts when they were born last summer. While this is the only vacation shot we have of them (boo! 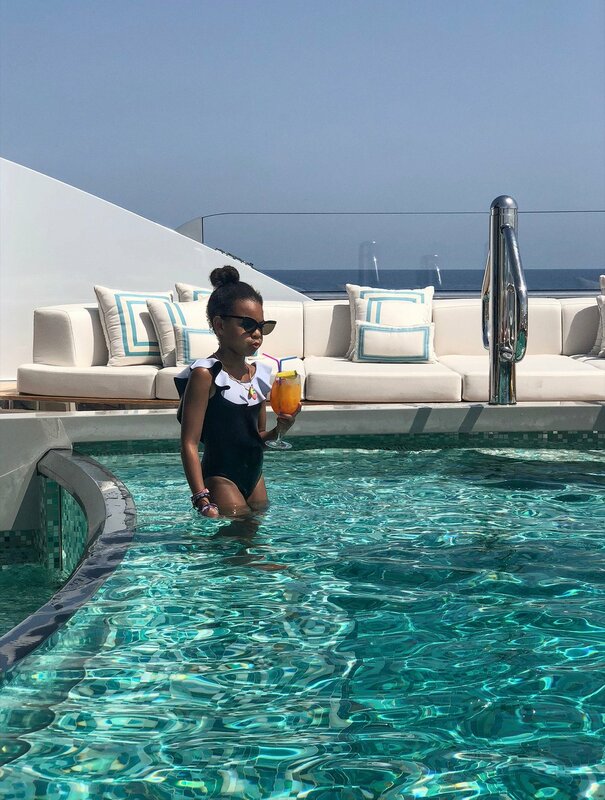 ), their older and less camera-shy sister Blue Ivy served us plenty of her signature too-cool-for-school vibes aboard the family's yacht. We also get some poolside realness from Blue. Everything about the photo, from the shades and ruffle-collared swimsuit, to the tall, frosty drink she's sipping, screams truly unbothered. Twitter could not deal with the six-year-old's effortless cool. But the oldest Carter sibling isn't above acting her age. The album also features an endearing shot of Blue Ivy waving and flashing a breezy grin in a sky-blue emoji frock. If you too can't get enough of the Carters on vacation, fear not. In a statement posted as a visual on Bey's website, the family promise a return. "Thank you to Europe for the beautiful memories. It's been a pleasure being 'On the Run' with our family, visiting so many incredible places, doing what we love with who we love," it reads. "We can't wait to come back. Love, The Carters."